Way back in 2011 Friendship circle wrote up a list of online toy stores for children with special needs. In 2 years a lot has changed. They decided to dig around and see if they could come up with more toy stores selling products for children with special needs. Here are 15 stores that provide great toys and educational products for babies, children and teens with special needs. Ability station provides special toys for many different special needs and skillsets. All toys are therapist approved for a child’s growth, development and fun. Fat Brain Toys provides a comprehensive listing of toys appropriate for specific disabilities. Caregivers of individuals with special needs can browse through the site and purchase developmentally appropriate toys, games and tools. Kado Kid offers amazing education products that offer functions and fun while helping kids develop. All of their items are from Weplay, a leading designer in early childhood products. Founded in 1995 by the mother of a child diagnosed with Autism, Different Roads to Learning carries over 500 products carefully selected to support the Autism Community. You’ll find everything from basic flashcards, books and timers to advanced social skills tools to support you at every step. From oversized building blocks and bungee jumpers to snapwall playsets and sand and water activity tables, eSpecial Needs offers a variety of appealing active play toys for children with special needs, including autism. Fun and Function designs sensory toys and therapy equipment for individuals with special needs to help children learn adaptive responses for what they may lack or crave. Looking for a gift for a child with special needs? Fun and Function has some recommendations. Gummy Lump offers toys that make sweet memories: play food, wooden toys, pretend play & educational toys for toddlers & preschoolers! Featuring Melissa & Doug and other award winning toys. PlayAbility Toys designs and develops toys for children with special needs. Toys are geared towards children on the Autism Spectrum, individuals who are blind & visually Impaired, cognitive challenges, hearing impaired, physical challenges, speech delay and more. Special Needs Toys offers a wide range of special needs toys, from mobile Multi-Sensory, to Swings, Trampolines and other Sensory Integration kits, Switches, rewards and small Sensory toys. These stores do not have a special needs toy section, however a number of their products are perfect for children with special needs. Lakeshore is dedicated to creating innovative educational materials that spark young imaginations, instill a sense of wonder and foster a lifelong love of learning. 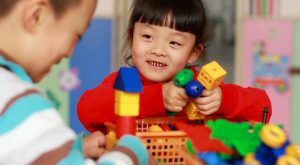 Although not specifically targeted towards children with special needs, a number of their products can be very useful for children with special needs. At Oompa.com, you won’t find toys with batteries, over-stimulating blinking lights or commercially commissioned cartoon characters. You will find a well-edited selection of delightfully modern toys that are thoughtfully designed and superbly crafted. Growing Tree Toys is a specialty toy store committed to providing educational toys that challenge, stimulate, and encourage children to express their creativity. Toys to Grow On has everything from baby & toddler toys to activity toys, art projects and educational toys for the preschool years. Whether you’re looking for unique learning toys or super-safe toys for infants and babies, you’ll find them at Toys to Grow On! Did we miss a special needs toy store? Tell us about it in the comments below. Written on 2013/10/21 by Tzvi Schectman via friendship circle.